After a controversy spanning five years, Ugandan President Museveni signed a bill into law expanding the criminalization of homosexuality in Uganda. GLBTQ individuals could now face up to life imprisonment. Besides an inherent anti-GLBTQ sentiment, the rhetoric surrounding the passage of the bill has been strongly anti-colonial and anti-West. 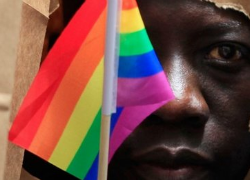 Decried by nations and NGO’s as potentially violating human rights, the Ugandan government is defying international pressure and embracing an extreme stance on homosexuality. In contrast to many other anti-GLBTQ laws, the stakes for GLBTQ individuals in Uganda are particularly high. Beyond the discrimination enshrined in laws in the United States, or even criminalization as seen in Russia and most of the rest of Africa, Uganda’s GLBTQ community faces a substantial threat of violence. The original bill made some homosexual acts a capital offence. Though this punishment was removed from the final bill amid international outcry, the 2011 beating death of activist David Kato demonstrates the grave risk homosexuals face in Uganda. A recently published list of high-profile homosexuals makes the potential for violence very real. GLBTQ individuals, their supporters, and their families are understandably alarmed by the passage of the law. Despite the anti-West rhetoric, the anti-GLBTQ movement can trace back to evangelical Christian roots in the United States. 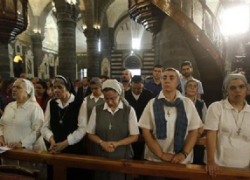 Though not explicitly supporting the legislation, American evangelicals are accused of exporting their culture wars by using Uganda and other African countries push back against the growing support for GLBTQ rights in the United States. Indeed, a group of American Christian politicians called “the Family” are tied to the Ugandan leaders who brought forth the legislation. The result is that much of the debate surrounding gay rights in the United States has transplanted into Uganda, but with the more extreme goal of eradicating homosexuality at any cost. The backlash for Uganda promises to be significant. The European Union released a statement noting Uganda’s obligations under human rights laws and Sweden has announced potential redirection of funding away from the government. Norway, Denmark, and the Netherlands have halted aid, while the United States has announced a review of aid. Financial implications may be limited, however, because of the important role Uganda plays in addressing the unstable situation in Somalia. The international community faces the dilemma of how to support human rights while respecting a nation’s ability to determine social policy. Given American involvement in the development of the law, we have a particular responsibility to take some sort of action. Direct financial pressure on Uganda may not be effective, because it may lead to economic and political instability in a relatively fragile state. Rather, we can back indigenous efforts to establish GLBTQ rights as human rights in Uganda. The West can accomplish this by supporting Ugandan organizations (like this one), activists (as Sweden is), or high-profile Ugandan GLBTQ supporters (like here). Most significantly, we can hold our own citizens accountable for their involvement in GLBTQ persecution, such as through lawsuits, boycotts, and political pressure. Alicia Gauch holds a Ph.D in International Peace Studies, and is a second year law student and Staff Editor at the Denver Journal of International Law and Policy.